Some people hate Pat Condell. Others, sit there and smile as he speaks. We think, “Yes! This! 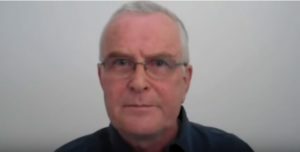 Just this.” If you’re wondering why a man like Pat Condell supports Israel, you need wonder no longer. In this latest video, Condell explains in his simple, direct, and often sarcastic way. “All anyone needs to know about the Middle East conflict is that the Jews want peace, and the Arabs don’t.” If you love Israel, it doesn’t get much better than that! Point by point, Condell walks you through the truth. If you boycott Israel fruits and vegetables but continue to use our technology, well, you’re a hypocrite and not much different from those who favored burning books. And, if you focus on Israel while ignoring human rights violates by so many others, you are nothing less than an anti-Semite. How can you not love this? Watch this and smile because I’d put this friend of Israel against our enemies any day.